To directly experience one’s true nature is a powerful thing. To live from that place day in and day out is LIBERATING. What if you could be free from the haunting, deep-seated beliefs that keep rearing up that you thought you had handled long ago? That is the Power of Inquiry! We live in a world of authority figures and experts. Some of us are “authority worshippers.” So how do we become our own authority? My aim as I work with you is to assist you in becoming your own authority on every level. It is only through direct experience in which that can be accomplished. Let me explain what I mean by “one’s own authority.” To be one’s own authority is to have a center, a core knowing that the deeper answers we are searching for are within us and absolutely cannot be gotten from external sources. Having any inkling that we hold the answers is itself a leap and should not be taken lightly as it is only hearsay until it is experienced. Each one of us has the capability to deeply know what is Truth and to live from that profound knowing. It is not mental knowing and it is deeper than intuition. For intuition is only a sense of something much like a hunch but not yet known. What is necessary for inner knowing to be experienced? 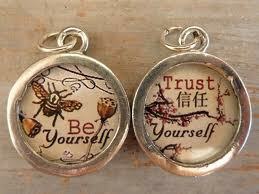 One doesn’t have to trust inner knowing, IT just is. It is important to be clear of what you KNOW vs. what you Believe and be honest about what you do not know. I work with people to discover those answers so they can become their own authority. For a free half hour consultation on discovering your own inner knowing, contact me at 818-975-0587. Working with Carol came at exactly the right time. The following week a conflict appeared and I was able to resolve it in a healthy and productive manner. Instead of wasting my energy on negativity I was able to spend it growing my business. That week I picked up three new clients. Her class made all the difference.